Battle of the Network Shows: Show Notes: Episode 1, The Incredible Hulk, "747"
Show Notes: Episode 1, The Incredible Hulk, "747"
*"747" premiered Friday, April 7, 1978 at 8:00 P.M. on CBS. *To clarify, The Incredible Hulk is currently on Hulu as well as on Netflix. *Despite Rick's faulty memory, the show was not rerun on FX (which did air reruns of The Adventures of Superman, Batman, and Wonder Woman!) but it was on the then-Science Fiction Channel, as Mike recalls. 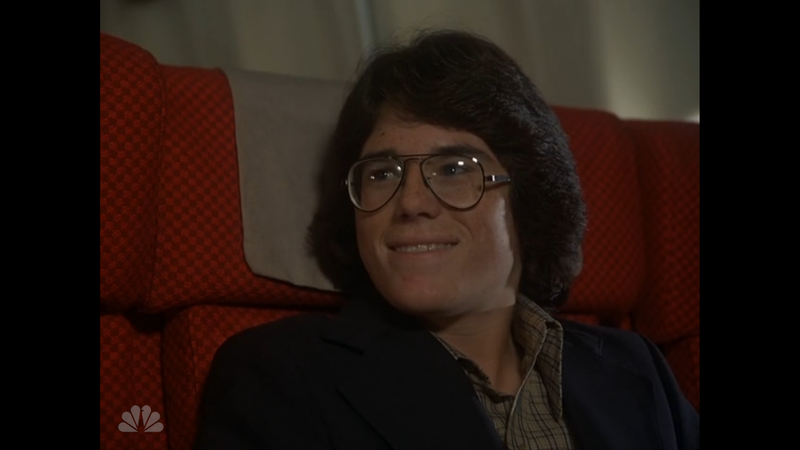 *Brandon Cruz (Kevin) was Joey Turner in The Bad News Bears before guest-starring in "747." His breakthrough role was as Bill Bixby's son on The Courtship of Eddie's Father, a gentle family sitcom airing 1969-1972 (3 seasons) on ABC. *The Treasures of King Tut tour, showcasing relics discovered in Tutankhamun's Egyptian tomb, was a big phenomenon in the 1970s and in the USA from 1976 to 1979. Don't worry; just listening to this podcast episode does not make you eligible for the Curse of King Tut. *According to Wikipedia, some of the scenes in "747" were used in Airport 75, a movie also made by Universal. Sadly, Charlton Heston does not Hulk out while trying to land the plane in Airport 75. *The great Ed Peck (1917-1992), whose Captain Brandes guides David through the attempted landing, played many police officers over the years, most notably recurring Fonz nemesis Officer Kirk on Happy Days. The episode Rick references is Season 4's, "A.K.A. The Fonz." *The reference to David choosing aliases that all include "David" is from Tony Danza playing characters named "Tony" on Taxi, Who's the Boss, Hudson Street, The Tony Danza Show, and of course his iconic role as Tony Soprano (just kidding on that one). Mike references Sonny Crockett going undercover as "Sonny Burnett" on Miami Vice. *The episode Mike mentions at the end of the discussion with the other Hulk and all the other cool stuff is the two-part fourth season episode "The First." *The TV Guide Game begins at 41:51. Further Viewing: The Incredible Hulk "The First"
Episode 1: The Incredible Hulk "747"
Welcome to Battle of the Network Shows!